Is Mayweather going up a weight to get more padding from McGregors shots? Aside from Floyd Mayweather jr calling out GGG saying “That’d be EASY“, which we all know is very far from the truth, one interesting snippet that has come out of this interview back in May 2017 is that Mayweather categorically states he is not a 154lb fighter. 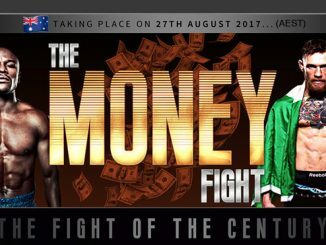 “I can’t go up to middle weight, I never was a 154lb’er” – Floyd Mayweather Jr.
3 months later he’s, fighting Conor McGregor at 154lbs. The argument here is that Floyd Mayweather Jr wants the extra 2oz padding on McGregor’s gloves. Up to 147lbs you can wear 8oz gloves, at 154lbs and over you have to wear 10oz gloves. 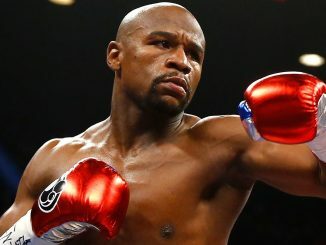 Floyd Mayweather Jr, typically fought at 145lbs.